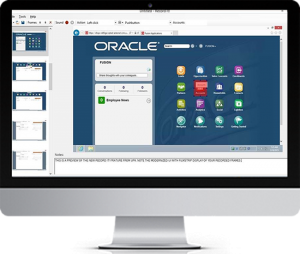 To coincide with OpenWorld at the end of October, Oracle announced the release of UPK Version 12.1.0.2 (Enablement Service Pack 2). Although ‘only’ a service pack release and not a version update it does still bring many new features for existing UPK users to get excited about, not least of which is the new Record It! Developer client. This article explores all of the new features in UPK Version 12.1.0.2 which work to improve the user experience and maintain its ‘easy to use’ persona. The Record It! Developer client was introduced in Version 11, as a tool to allow non-UPK Developers a means to raw record and edit topics. With UPK Version 12.1.0.2, the Record It! client has been re-engineered to make it even easier to use and, perhaps most importantly, more cost effective. The Record It! Developer facilitates rapid authoring for everyone in the organisation without any additional costs, providing they have a User Licence, as no Developer Licence is required. It can be downloaded directly from the UPK library, as a self-extracting executable, and is less than 3 per cent of the size of a full Developer download. The Record It! is extremely easy to use so can be picked up easily by anyone without UPK Development training or experience. Record It! Authors can capture screen processes quickly, adding their own notes and sound recordings. The completed recording can then be imported into the full UPK Developer Library for further editing. The UPK Developer client now allows for user profiles to include contact details, so authors can provide personal data to make collaborative communication easier. This includes, full name, department, email, phone etc. The State and Owner topic Workflow properties are now version controlled, meaning that a topic must be checked out before a State or Owner value can be amended. Upon check-in the topic State and Owner value is stored as part of the version controlled Document History. UPK has supported playback on iPads since Version 11.1. With the release of UPK Version 12.1.0.2, support has now been added for Android Tablets running Google Chrome as well as Windows Tablets running Internet Explorer Modern Browser. Internet Explorer Version 8 through to Version 11 are now fully compatible with UPK. Previously, the “stay-on-top” feature in Do It! Mode for IE11 was not supported. Further information from Oracle can be found on the UPK website, which includes an overview of each of the new features in UPK 12.1 ESP 2.